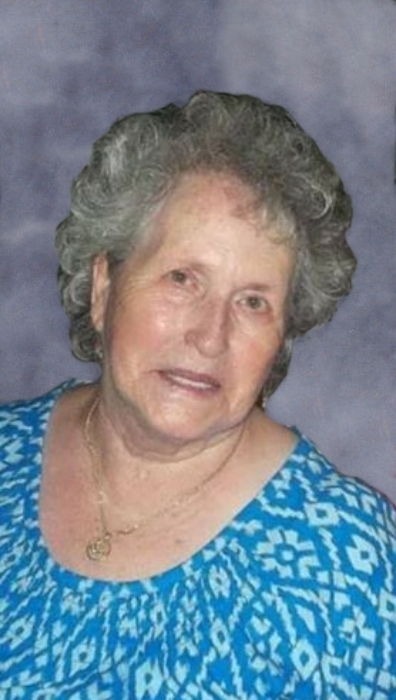 Pearl Fletcher Bishop Howard, age 86, of Hwy 519, West Liberty, KY passed away Friday, April 12, 2019 at St. Claire Medical Center, Morehead, KY, after an extended illness. Born in Peter Cave, KY on June 14, 1932 a daughter of Shadle & Lulie Scott Fletcher. She was a mother and homemaker. Surviving is five children Garry Ray Bishop, West Liberty, KY; Garland & Amanda Bishop, Frenchburg, KY; Lula Mae & Donnie Romans, Leatha & Eddie Beasley, Darlene Bishop Sexton & Wade Kidd all of West Liberty, KY., fifteen grandchildren Stacey Beasley Whitt, Denny John Beasley, Brandon Beasley (Nikki), Marilyn Lewis Smith (Denny West), Charles Lewis III, Gary Lee Lewis (Brandy), Joey Lewis (Keesha), Daniel & Amy Bishop, April & Eric Riggs, Michael J.& Gerrica Sexton, Cody & Gabby Risner, Zachary Combs, Isabella Keeton, Hunter Ratliff, Ricky Ratliff. seventeen great-grandchildren. two great-great-grandchildren. Six sisters, Delilah Fletcher, Mary Liz Fletcher, Wanda & Johnny Jude, Ruth & Gerold Castle of Debord,KY. Carma Sweeney of Paintsville,KY. Ruby Fannin of Inez,KY. Three brothers Arthur & Dolly Fletcher of Inez,KY. Herbert & Edna Fletcher of Louisa,KY. Edgar & Mary Fletcher of Debord,KY. She was preceded in death by her parents Shadle & Lulie Scott Fletcher, husbands Denzel Bishop and Ollie Howard, daughter Donna K. Lewis, 3 sisters Stella Bowen, Sarah Moore, Mavis Staton, four brothers Harvey Fletcher, Shadle Fletcher Jr, Walker Scott Fletcher and Cecil Fletcher. Step-son Ronnie Howard. Funeral services will be held 1:00pm Wednesday April 17, 2019 at Herald & Stewart & Halsey Chapel with Bro. Dean Lewis and Bro. Harold Davis officiating. Burial in the Arthur Lewis Cemetery Old Hwy 519, West Liberty, KY. Visitation will be held 6:00pm, Tuesday at Herald & Stewart & Halsey Funeral Home, West Liberty, KY.